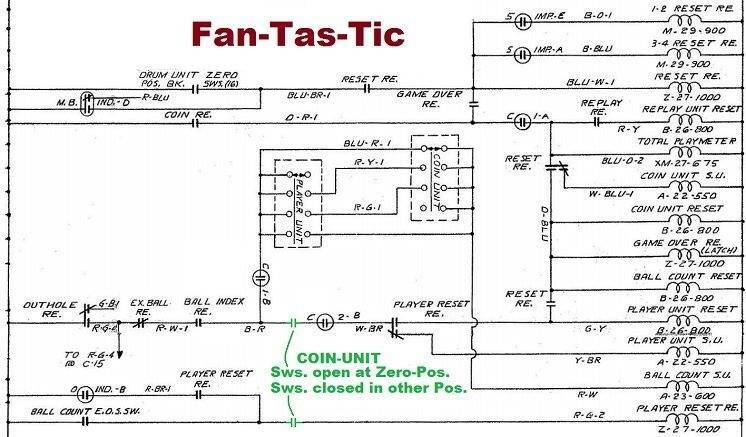 » Forum » Electro-Mechanical » EM Pinball Tech » EM Puzzle: Williams 4-player tilt switch. Let's fix it. » EM Puzzle: Williams 4-player tilt switch. Let's fix it. EM Puzzle: Williams 4-player tilt switch. Let's fix it. There are 139 posts in this topic. You are on page 2 of 3. Oh, was your switch dirty? Why grind the contacts or sand them with your metal wheel (did anyone mention doing that)? Why not just adjust the switch? Switch was clean and wiping well with good pressure. However, it was one of those edge cases. Some contacts can be a bit pointy on the surface area, which I suspect might have been the case. Then again, I've seen this happen with well-formed contacts too... so I don't know. Maybe 1 out of every 200-300 pairs just needs a little extra persuasion/adjustment. Unfortunately, it just happened to occur on THIS particular switch, which was obviously one of the worst places for that to happen. In hindsight, a good thing. Now it definitely won't happen again. Question for you - what happens with and without your mod when a score reel coil is detached on one side (and cannot move)? The answer is you are still vulnerable. True, but this is the case for all EM's, isn't it? At least the fix removes a large variable from the "things to go awry" list. At least seven coils could lock this way, possibly more. Might as well do it. For what? A problem that basically isnt a problem? 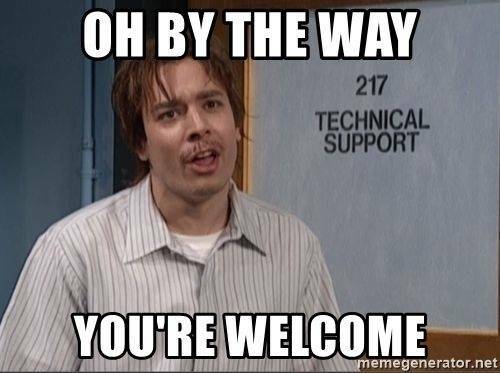 In global IT circles, we refer to these issues as "vulnerabilities" and deploy "hotfixes" to remedy them. This would qualify as such. Nothing is a problem until it is, like this one is. Had you heard of it before now? Across thousands of games produced? Sure thing - your game, your mod, go for it. I would rather fix the problem. We are taking different approaches to the same problem, that's all. Get some rest! You're fixing a problem after it happens, he's fixing the problem that allows that problem to happen. I need some. Badly. Getting a bit grouchy lately... uh oh. Don't want to contract PHOFitis. You assume it's a flaw. I'm saying if it was it would have occured well before now. We know it's a flaw. We don't know if there's any useful property to it as well. Though the best minds of em pinside can't find one. You are thinking of today's technology of communication. Back in the day you didn't have the internet to spread the word. I'm sure issues or repairs were made and never made public to the level of communication through the internet that we have now. Now a days you can't fart in church without in being on the internet. It resolves one failure condition and does not protect against the other. The switches are not in the game for no reason. Yes, the fact that you can burn multiple coils is a problem. How would you design around plugs? Similar issue. You're addressing a symptom and not looking at the wider issue. The real issue, in my mind, is that the relay is not adjusted properly. The tilt and game over relays on Williams games are of incredible importance. So much of the games' logic runs through there. Similarly, the 0-9 unit. Your switch can be as shiny as a mirror and still not function - you've started to ask why that might be. And yes, I am a giant originality stickler. That's why I've poured so many hours into making the Multi play as accurately as possible. OK, let's submit it is a flaw. Just from the sheer numbers of games Williams produced back then, if it was a flaw that was a big deal, it was going to show itself well before now. In fact, it would have shown itself when these games were on location and being played hour after hour, day after day. 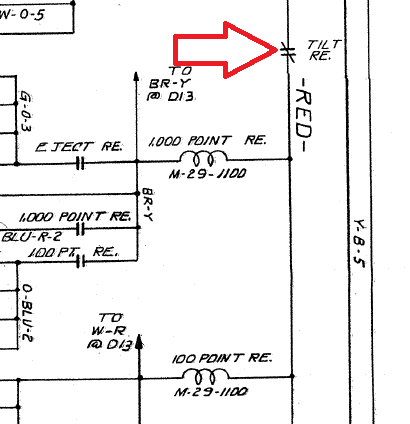 The OP himself said it appears this circuit was designed this way for over 10 years. So we're talking thousands upon thousands of games, millions upon millions of plays, and yet...nothing. Nobody has ever heard of this causing an issue on these games. Certainly if it was a major flaw, then it was going to show on location and operators were going to be mad at a game burning up coils. But nobody has ever heard of it, evidently, until this discovery. I'll give you that it could be considered a flaw. But not one that is ever really likely to cause anyone a major issue. As was pointed out to me by another poster in this thread, first, Williams long throw relays are really robust. You're not likely to burn up a coil real easily in this situation. Second, once the ball drains after a tilt, the game is going to reset and the tilt be removed and the relay, if locked, will drop out. I see your point. I don't think it's a point worth going in and fixing this switch on all the games still left out there. I've got a GP, it's fine, and I'm going to leave it just like it is, and I would doubt that I'll ever run into this problem with it. No. I'm saying that they made thousands of these and it was evidently never a problem to the point where Williams changed the design. History is important. If they made games using this same design for 10 years, it tells you they didn't have problems with it. Or even in the alternative, enough problems to think it was a cause to change things up. ...and that multi-bingo is one HELL of a machine. And I want one! So I won't pick on your insistence upon originality. But I'm not certain the engineers had a rock-solid reason for doing this. Some of the stories I've heard at Lockheed... oh... nevermind. Obviously you and I can adjust relays properly. I'm pretty sure I've rebuilt well over a thousand by now. But the underlying circuit just bugs me. The possibility of seven (or more) coils locking at once isn't something I ever want to happen. As Mr. EMKC has stated, the likelihood is low. But since it happened to me, I had to figure out what the tradeoff is... and there doesn't seem to be any upside to leaving it as-is. Also... I still want to replace my Bally jones plugs with strips of banana terminals. ...and that multi-bingo is one HELL of a machine. And I want one! So I won't pick on your insistence upon originality. But I'm not certain the engineers had a rock-solid reason for doing this. Thank you! 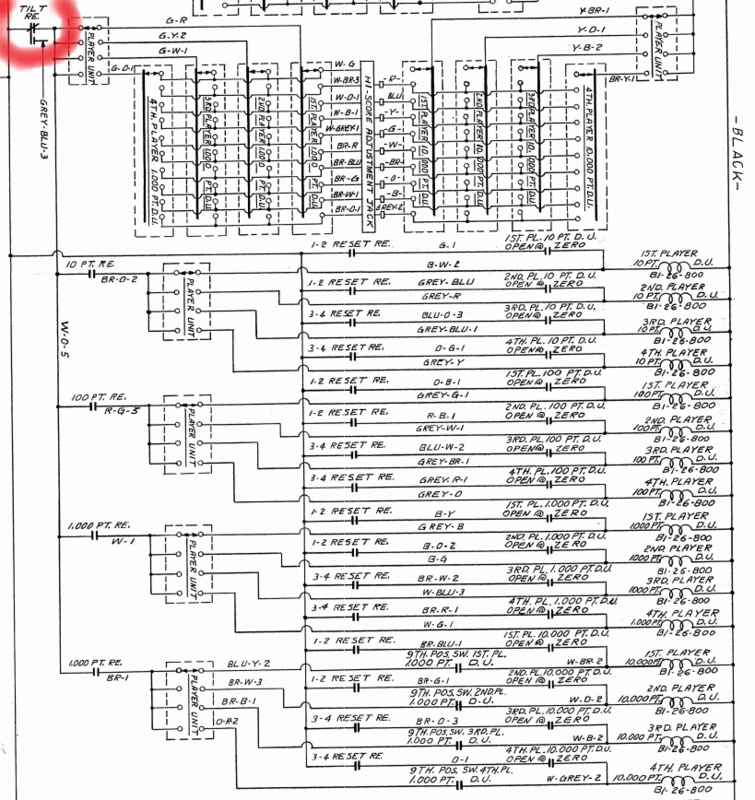 Also, I'm not certain either, which is part of my problem with blocking that circuit. If this were a DMD issue thread you guys would be calling each other names by now...let's step it up. It's certainly not as robust as Gottlieb/Williams plugs, but I've never broken one, so I don't have a problem with them. In fact, it would have shown itself when these games were on location and being played hour after hour, day after day. 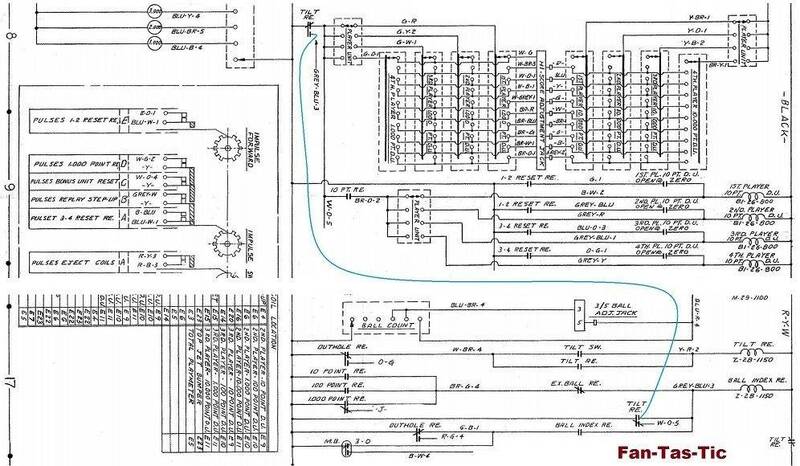 The OP himself said it appears this circuit was designed this way for over 10 years. Nobody has ever heard of this causing an issue on these games. Certainly if it was a major flaw, then it was going to show on location and operators were going to be mad at a game burning up coils. But nobody has ever heard of it, evidently, until this discovery. Operator's game burns up a coil -> op replaces coil. Turn game on, it's working again, all's good. They don't track down the issue, they leave it to make more money. And even if one did notice the issue, they have no way to report it. Wow, you two are really filling me with confidence here. Every Bally EM I've had has needed attention on the plugs, not once on any other game. They're clearly a bad design. I like to sleep better at night and proactive mods like this are appreciated. I have three fuses/holders each to apply to two very nice Gottlieb System 1 games for a similar reason such that if the right part deteriorates it won't burn up my very nice Gottlieb System 1 games. Just because it hasn't failed yet, on my or thousands of other System 1 games, isn't a reason to not apply the fix. I have a GP in the wings and will apply this fix to it when I get to it for the same reason. Why not. It's just a simple jumper wire. In the car world, Zac and I would be resto-modders. Blasphemy to some, delicious air conditioning in Texas summers to others. Operator's game burns up a coil -&gt; op replaces coil. Turn game on, it's working again, all's good. They don't track down the issue, they leave it to make more money. And even if one did notice the issue, they have no way to report it. Come on now. There's no way you haven't had some kind of an issue with jones plugs outside of Bally games. When you say "needed attention" you're telling me that you just plugged them in and they worked perfectly every single time? I'm not buying that one. Unless you're buying well preserved examples, at a minimum, they're going to need cleaning. I've had some that were so oxidized I could barely get them unplugged. I realize that isn't the same as busted plugs, which I've had on Williams and Gottlieb games. A problem is likely to show itself when a game is being played a lot. Maybe I'm just not thinking logically on this one. Operators -did- provide feedback about game issues and their notes were incorporated later. See: bingos. Same thing happened for flipper games. A game is no good if it catches on fire. I have problems with plugs from all manufacturers. Bally is the only one that gives multiple points of contact to allow for a very nice electrical connection. Other manufacturers had better mechanical connection, but there's nothing inherently wrong with Bally's plug design, other than that the metal tab bends can break easily if you are rough with the plug. Sorry, ymmv, yadda yadda. Yes, this seems proactive. But now there is no way to cut power to all the reels at once. I'm not saying it's 100% a bad idea... I'm only asking that we think this through. The hardest thing (for me) is to think through the ramifications of changing a circuit like this. How can it fail now? Fusing it would actually be a better mod, from a functionality standpoint. I’ve imagined a number of scenarios but fortunately the circuit is a simple one. The tilt relay is almost always feeding power, so the variable to ponder is when it opens the switch. Is anything lost by *not* cutting the connection while in tilt? Each reel still has to go through a relay switch. Since those are also switched off in tilt... seems to be a moot point whether they have power or not. I tend to make these types of decisions relative to downside risk. The switch isn’t likely to fail. But if it does, it’ll fail big... and doesn’t really do anything otherwise. I don’t think Williams thought this one through. Looks like an absent-minded copy and paste job. And yes, I am a giant originality stickler. Do you have an address where I can send you my old Bally fuse holders and lamp sockets? In the grand scheme of things, a tiny switch in a tilt relay in an antiquated amusement machine is a pretty tiny thing indeed. But it does seem that soldering it closed makes things just a wee bit more certain than not... so why not? I would suggest that if you do change this, make sure you update the schematics of the game to reflect the modification. Their sockets are only mostly bad, but they are easy to install, at least, especially in tight spaces. But if you have old plugs I will definitely take them all (I use them in new game builds - yep, I find them that nice to work with). Williams also produced solid state machines for a decade across multiple systems with a major design flaw in the power supply that could set your transformer on fire, and so many other things. The problem is pretty obvious, as is the answer. True, but in that case it was saving them money by skipping 2 screws, 2 fuse folders, 2 fuses, and 4 extra solder points; plus labor. This individually does not amount to much per game but over 100,000 or so games odes add to the bottom line. So why fix it if its making them money and is rarely a problem. In this case it was costing williams money to keep adding a "useless" switch that could also cause problems. I think there's gotta be a reason to keep it in the design all that time. Too lazy to change does not overrule the bean-counters. Why'd they fix it later then? Bean-counting and second-guessing has nothing to do with it. This is simply a technical question being solicited for peer review. If Williams had a good reason for installing this switch, then what is it? I -do- see an extremely good reason -not- to do it. With this one switch failure, at least seven coils can fry. Or more. Figuring out what Norm Clark had in mind 52 years ago won't be possible, as he is sadly no longer with us. 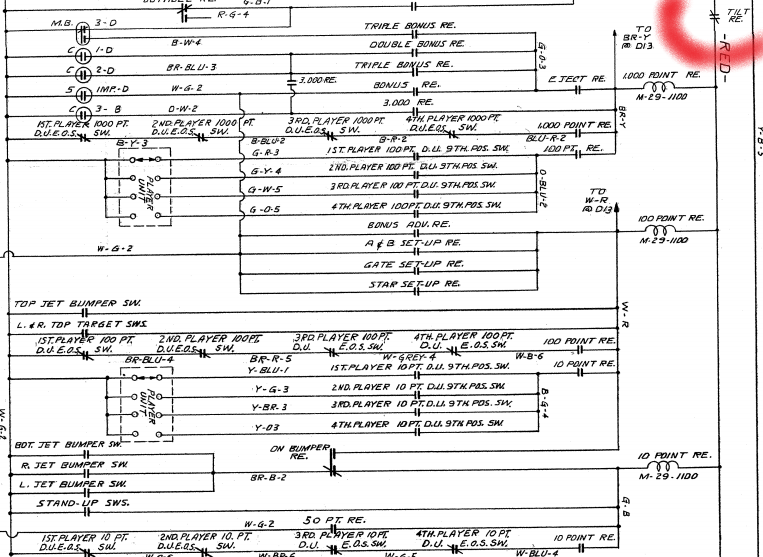 Then again, we don't know if he personally drew up that portion of the schematic. Older games show the evolution of the tilt relay function. One switch used to be the "catch all"... then another was installed further up the line for the relays. But the old location remained in place. A) I don't know what Williams had in mind, but they must have known what they were doing despite the potential risk. B) Williams accidentally overlooked a potential safety issue which typically isn't a problem, but when it is, it's a really big one. I'm in camp B. Evidence to the contrary will move me to A, if it exists. You're still not addressing plug failure. Fuses would be a better mod, and not installed under playfield. Also probably impacts a subset of the seven. I counted seven yesterday... But the game has to hit each of the points relays to do that. Possible. But again, your game, do what you will. Plug failure? As in the jones plugs connecting the motherboard to the head? Or the plugs on the motherboard. You are doing a quick fix, which is fine, I guess, but the problem is actually deeper if you feel that that switch should not be. You have to rewire the game, not just close the switch. The feed runs through the bottom board, then up through male plugs - you want to eliminate the problem, correct? Despite the hurricane evidence, I've certainly had all manner of Williams plug failures. Cold solder joints being a thing, broken wires in and under the plugs causing intermittent contact, and crud on the legs preventing contact. Each of these is a failure point for the same problem that you're trying to resolve. When really - the problem is the score relays. Each one drives the chimes and the reels. 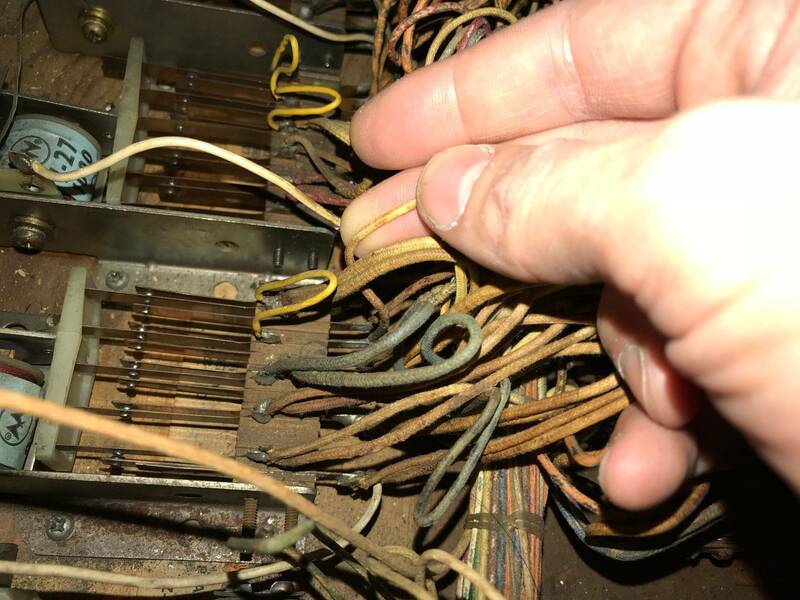 If the score relay is held on too long, blow a fuse rather than burn a coil. See again: bingo mixer latch coils. I know I sound like a broken record, but I really dislike (that type of - jumper insertion) changes to the wiring. I spend a lot of time fixing well-intentioned (or not so well-intentioned) changes. Yes, but plugs and solder joints can always be problematic in and of themselves. Those are different issues. This fix only concerns the removal of the tilt relay switch... bridging it permanently closed for an extra hint of safety. What do you mean by rewire the game? That's what you're doing, you're only doing part of it. Closing that switch does provide a hint of less coil burn. But only that. You are assuming that the rest of the circuit is similarly fine. Multiple failure points. You just found the end of the chain. My point is that you have to rewire the game (remove the switch entirely, including the travels up and down the game) to take that failure point out completely. Again, this is your game, do as you please - my notes are only to complete the picture for others reading this thread. You could jumper it in the head instead and that would be less problematic, but harder to find. who knows, relatively frequent issues, UL certification, could be anything. Of course bean counting isn't why the "extra" switch is in there. If it served no purpose the bean counters would have eliminated it. The fact they did not eliminate it points to it having a purpose. Yes, this is the intent. The fix only eliminates the switch itself as a potential source of failure. However, it is the most significant piece of the puzzle, as it is the only portion of the circuit expressly designed to cut power to the reel coils. Agreed, it would be most optimal to bridge at the head and bypass the redundant wire and connection points. But as an easy remedial fix, this should suffice. Not necessarily. Color TV's were still new back then. Different era. Accounting/inventory practices hardly similar to today's JIT/Lean/6-Sigma methodologies. Also, accountants are not schematic designers... and this looks like a copy-and-paste operation carried over for convenience's sake. Aka "if it ain't broke..."
You are assuming because it is there, it should be. A little skepticism is healthy. Research and testing better still. I am also in "camp B" (Your post-84). To make an two-bladed (Normally-Open) Switch on the three-bladed switch on the Tilt-Relay by adding a wire connecting "Lug-Yellow to Lug-W-O-5" (and make an good documentation): (Your post-51) "Remedy on Vulnerabilities". I think we are on something "beautyful - clever designed --- causing problems when not fully working": Kind of working hand in hand --- AAA influences BBB - and later the BBB influences AAA. 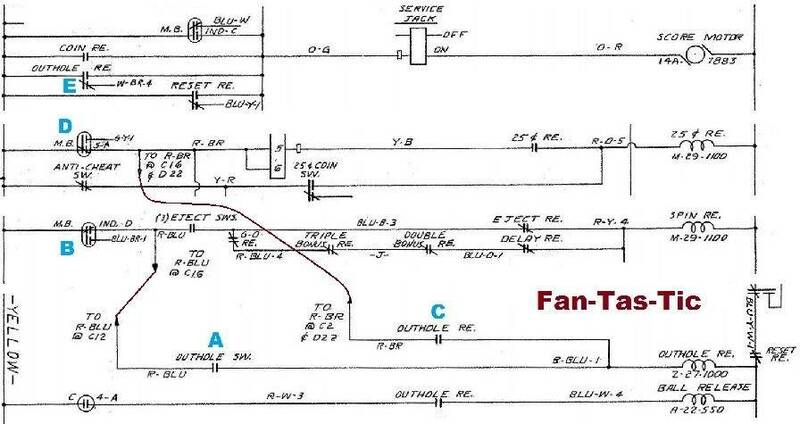 I show (Fan-Tas-Tic) "AAA" the Outhole-Relay - and "BBB" the Score-Motor. When there is a fault "my blue D - Score-Motor-5A faulty never opens": The Outhole-Relay will pull forever and the motor runs forever. A bit "veiled / concealed" - The Tilt-Relay pulls-in --- the Ball must roll into the Outhole so the Outhole-Relay is made to pull-in and an switch open when the Outhole-Relay is pulling - switch opens the Self-Hold-Circuitry on the Tilt-Relay. (I am interested in) Do You want to open an topic "Hard to understand wirings" (or an other / better title) --- we could talk about "WHY is in my JPG the Outhole-Switch (my blue A) wired to Motor-IND-D-Switch --- WHY did Williams not wire "my blue A" simply to "common wire yellow". Greetings Rolf. I like it. We should optimize things when it makes sense and improves reliability. A new thread should be created for each issue. Otherwise it would be too easy to confuse different issues. I mean, look at where we are now with closing just one switch. Do you want to open a new thread for the "Blue A" outhole switch question? Maybe start with "EM Puzzle" in the thread title too. One more question to ponder: If switching the score coils on tilt was so essential, why only on 4-players? Haven't seen this configuration on any Williams 2-players or 1-players. What's the missing piece between the reels for 1p, 2p and 4p games? The only difference is a player stepper unit (selects 1-4) vs. a relay (selects either/or). Regardless, both are situated after the open relay switch on their respective circuits. Except for the bonus credit portion. Stepper comes first in that case, relay switch afterward. Shouldn't make a difference. Stepper or relay or point-to-point wire... same job to do. Now, what happens should that unit fail to turn and the switch remains engaged? Or it only turns partially. The player units on Williams games use these large conductive areas on the stepper itself. What could that switch be doing with regard to the player unit? Could the player unit itself burn? I dunno. I find it unlikely, but that's one of the only other things in the circuit, and something that hasn't been addressed at all in the comments thus far (that I remember). Williams player units have snowshoes (good for wicking), and big traces... not that they should be getting more than 24V, but if the unit is misadjusted and 24V goes to the wrong place, I suppose the worst that would happen is some blown out bulbs. That switch you're bypassing has a job to do as well. (We just don't understand fully what the job is, or, if we do, it seems to serve no purpose, and the defense of a copy/paste mistake doesn't carry a lot of weight, nor the claim that the 'bean counters' would ignore it forever...). Neither of us needs to leave convinced of the others' position, of course. Jumper the switch temporarily and put the machine through it's paces for a while. I'd tilt it more than occasionally though to check what, if anything this modification has done. If no adverse effects occur, permanently jumper the switch, but note it on the schematic. Nic has done us a service by pointing out this potential issue. Take it or leave it. If he receives similar flak in the future, he might just decide to keep his findings to himself, rather than sharing them here. He has his head buried in these games more than probably eighty percent of us here, so I consider his contributions to be valuable. Thanks, Nic.